Neon Chrome is something of an aberration in the twin-stick shooter genre. Whereas most titles in this vein rely on quick, twitchy reactions to save your life, 10tons Ltd’s title asks you to do something different: be patient and run away. 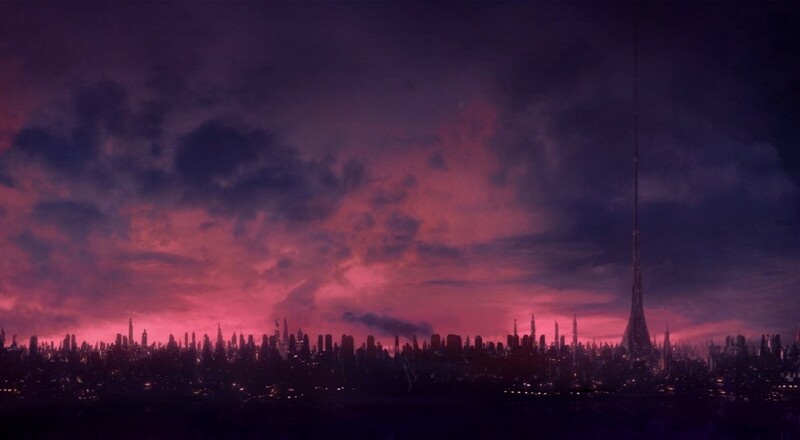 In the distant future megacorporations rule all aspects of life, including the "megastructure" where you live. You’re a hacker on a mission to bring down the Overseer, a human that’s been interfaced with the central computer of the building, of your titular residence. Rather than use your computer skills to hack into the mainframe, you take control of “assets” (cybernetically enhanced humans that you hack into and control) and fight your way to the top of the megastructure floor by floor. These assets come equipped with a gun, a special ability, and a couple of unique aspects, such as having more enhancement slots, or increased health but decreased movement speed, and are entirely expendable. Much as you traced your lineage through the ages in Rogue Legacy, your repeated attempts at overthrowing the Overseer will be marked by your asset’s number and the batch from which they are spawned. 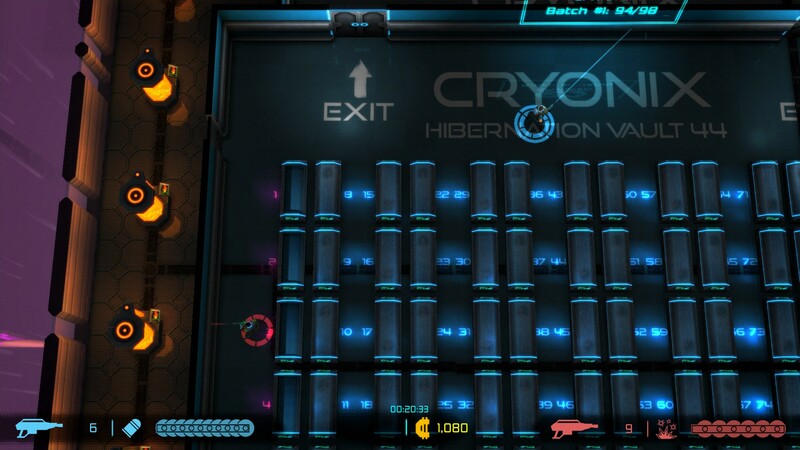 Procedural generation has, in some ways, become a buzz term to denote “random stuff to keep you from being bored.” In the case of Neon Chrome, the randomization of a floor’s configuration, including the placement and types of enemies, and how the rooms are set up/linked to one another, represents the challenge. Your asset has no quick dash or roll to get out of the way of enemy fire. If you want to avoid that stream of bullets heading your way, you’ll either need to already be moving out of their way, or use the environment to your advantage. The former will only get you so far, as you can quickly get outnumbered and outgunned by enemies lurking just off-screen, leaving the latter as the more reliable strategy to employ. This was the part that I banged my head against the most as it is the most unlike any twin-stick shooter I’ve played. I am very used to running into a room, shooting everything that moves, and hoping that I’ve been moving around enough to keep track of the bullets headed my way to avoid them. That kind of a strategy works in short bursts but there are 30 levels to get through, along with a handful of bosses, and healing doesn’t happen with enough frequency that you can just go through guns blazing all the time. I eventually came around to the idea that the best course of action to take was to approach every encounter with some degree of strategy. For instance, I came across a room (with breakable walls along one edge) that had an enemy and a couple robots inside. The room was big enough that I couldn’t see if those were the only foes inside, so the safe bet was to assume there were more that would come after me if I ran in and just started shooting everything. I punched a hole in the wall, got a line of fire on one enemy, and took him out. The couple enemies nearest to him came out to investigate and I retreated down the hall out of their line-of-sight. Once they turned their backs to me, I shot them all and then explored a little further into the room. Turned out my assumption was right: three more enemies were waiting just a bit south of the initial group. Had I taken the loud approach, I would have been quickly overwhelmed and while I likely would have survived, the amount of damage I would have taken would make the rest of the floor (and subsequent ones) that much harder. Page created in 0.5167 seconds.